I’m a guest over at The Foiled Fox today sharing these die cut roses. 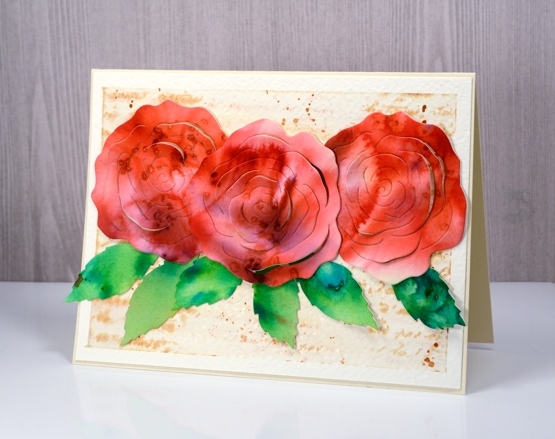 This really was an easy card to make because the ‘pop out rose‘ die creates the lovely petals and brusho powders create the pretty colours. I used three different red brusho powders on watercolour paper and some leaf green brusho for the leaves. While the paper was still damp I sprinkled some salt over the panel to get subtle patterns. The partial cuts in the roses make it possible to lift petals so I folded some up and kept others glued down when I attached the roses to the background panel. 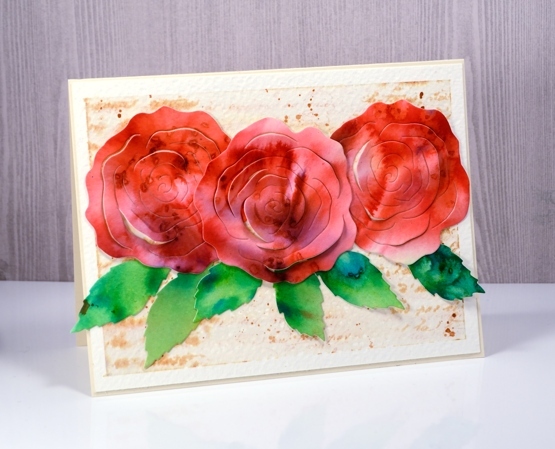 To make the background panel I stamped the ‘script’ stamp from Penny Black on cold pressed watercolour paper in tea dye distress ink then painted over the top with water. 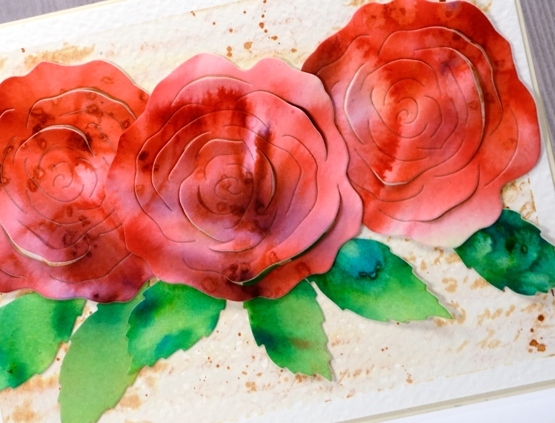 The result is a softly blurred background with splatters of ink to add to the aged look. Pop over to the Foiled Fox blog for more details and to see the products I have used on this card. Thank you to the wonderful Foiled Fox team for having me back again; it’s always a pleasure. Gorgeous card, I love the Brusho effects! Gorgeous. I need to play with powdered pigments. Thanks for sharing your talent.